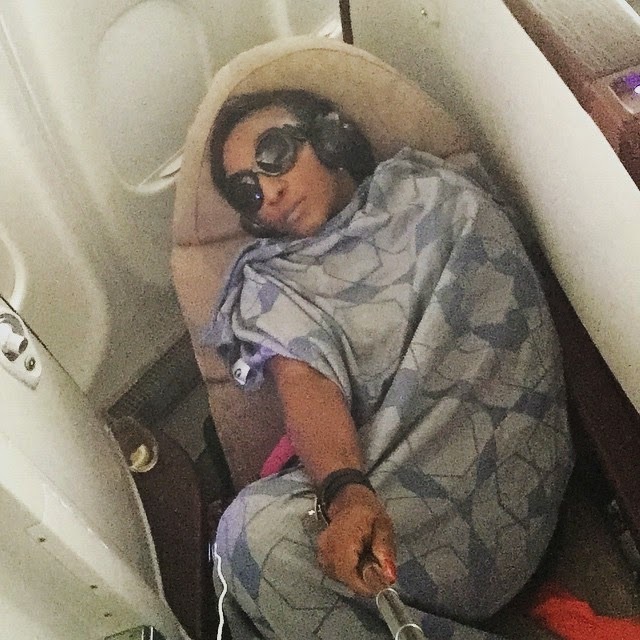 Delectable Nollywood actress, Ini Edo, who journeyed to Istanbul few days ago shared this cute selfie of herself (obviously with her selfie stick) on a plane few hours ago. Although she looks stressed up and all, the hot actress looks like she really had fun during her trip. Previous articlePhotos: Jay Z And Beyonce Take Romantic Stroll In Italy. Next articleForeign Rapper, Fetty Wap To Feature Davido, Wizkid & Iceprince In Track Remix.